Solved: have just augemnte the detail of the scene. Please ask your friend to register here and communicate directly wiith us. Much easier, then always having somebody in between. I do not have any 2004 installation for reference but as you see ai traffic "in the air" there is some. maybe the parking spots at the terminal are "airline coded" so the default planes will not park there. did you have a look for some planes in "remote places" of the airport? Hi there, I'm asking this question for a friend of mine who's having trouble with the a320/1 prof. Whenever he starts a scenario in the AS airbus professional, p3d crashes. Any ideas? Did you try manually entering the values in 3rd MCDU or through INIT Loadsheet? Thanks for the report Mark! We are working to get the way QNH is now implemented reworked completely and make it separated and synced for the CFD. This means changes for the Single Pilot Operations as well and we'll make sure this gets addressed by then as well. We still sometimes see this issue but cannot really pinpoint what's causing it. All we know it's a rare one-off issue. 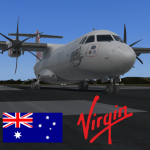 If reloading the flight doesn't help try reinstalling the bus again and make sure to restart your PC after and let me know if it still happens. Again, thank you for the support. Attached images show my configuration and "Traffic" settings from the EHAMTraffic.exe file. No other planes are visible except in the sky. The work towards fixing this is still going on, so no fixes yet on 1.2.4.0. However we have recently implemented even more logging to find if there can be even more causes for this than the ones that we currently know. We have been able to narrow it pretty well for now but just want to make sure that we get most of it fixed at once. So log files are still important for us and very appreciated if you can still send them for us! Have you tried the fix in your linked topic? I did a complete re-install including Windows. So nothing old there. did you delete and rebuilt the shaders after updatin to 4.5?